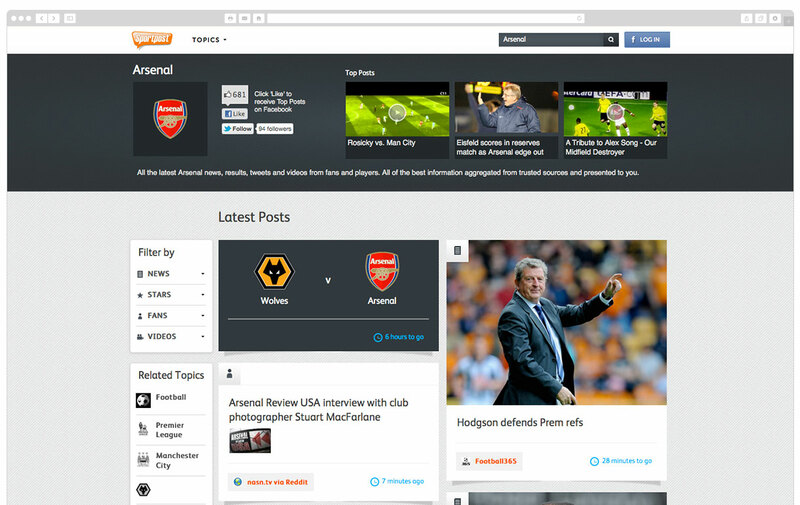 Sport Post wanted to create the one stop for all sports related content around the web. 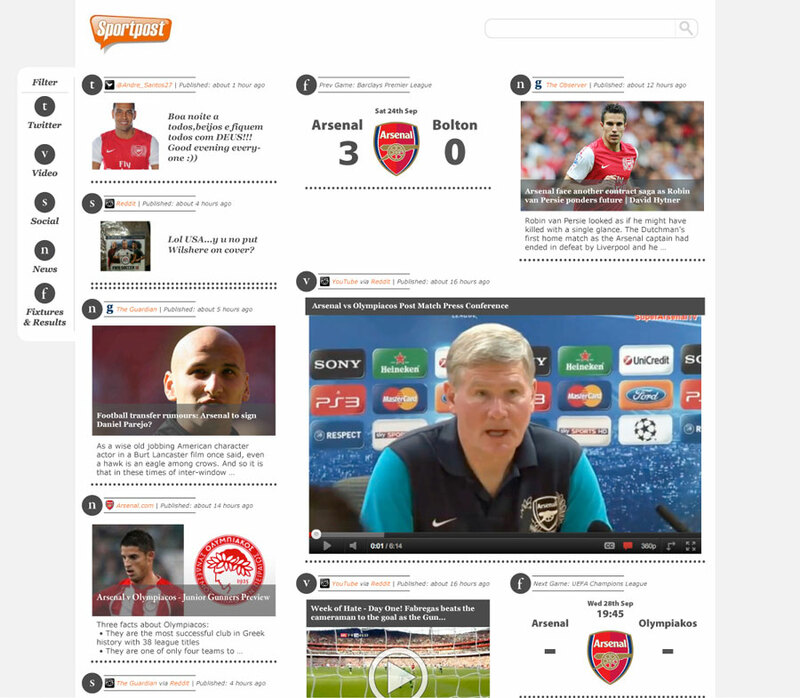 Videos, fixtures and all related articles. 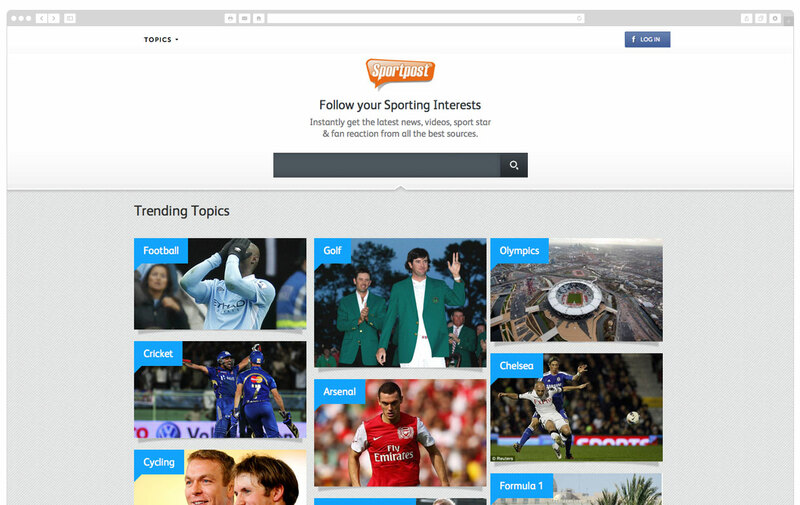 Catered towards your team and interests. An advanced algorithm would sort through the garbage to find the most pertinent information. I started on this project during it’s conception. Creating the UX, structure and initial structure of the website. We used a cards approach so you can easily group and sort out the different types of information/media.